If you are done with the normal every day nine to five jobs and dirty work you might be ready to look into some real estate investments. Before you go out and spend money investing in real estate though you need to start thinking smart. First of all, make sure this is what you want to do. Real estate investments do pay off but it’s not as easy as the late night TV infomercials make it out to be. Investing in Real Estate Is Hard Work & Requires Patience! For long-term real estate investments you’ll need to have some money in the bank. 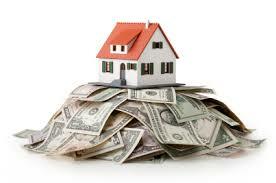 Be prepared to reinvest much of your earnings in the beginning as well to get the property on stable financial ground. A good investor plans for the future whether it be for repairs, vacancy or disgruntled tenants and attorney’s fees. While investing in real estate investors learn to plan for the worst and hope for the best. First and foremost, you need to know what kind of budget you will be working with. Run the numbers and do the math to figure out what kind of money you will be willing to spend on the project. After a budget has been determined, carefully proceed with locating the right property based on your budget. The old saying “Location, Location, Location” still holds true and whether you’re looking to sell your investment or rent it out you need to think like the buyers or renters and what they like. Buying real estate investments close to shopping, restaurants and parks are always a safe bet particularly if it’s in a good neighborhood. Typically areas like these will be on the upper end in price but buying the cheapest is not always the best investment so you’ll need to think about a balance for that. One part of successful real estate investing is having a basic knowledge of how things works like appliances, water heaters, etc. Having this knowledge may save you thousands in the future. When you find the perfect property, make sure to inspect it. If you don’t have the basic knowledge then hire a professional inspector. For more information on home inspections check out our article Proper Home Inspection and for Pest Inspection you can read more at Pest Inspection, Wood Destroying Organisms. Now that you’ve found the perfect investment property, conducted your inspections and have closed escrow the property is yours. At this point you’ve got an asset and what you do with it next will play a big part in the return on your investment. In the event the property is in need of a rehab you’ll need to do some remodeling, check out our article 4 Projects To Raise The Value Of Your Home to get an instant boost in value. When painting, pay special attention to only applying neutral colors. You might love red but others may not. If it’s your intention to rent out your new purchase then buy items that will last. Tenants will “live hard” in properties so items with long warranties will help save you some money in the end. For more information on investing in real estate or if you’d like a list of real estate investments in your area, please contact us or leave a comment below. We’d appreciate the opportunity to assist you.